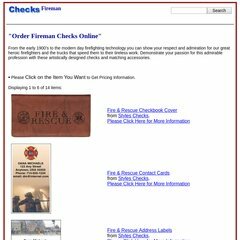 Topics: Fire & Rescue Checkbook Cover, Fire & Rescue Address Labels, and Fire & Rescue. It is written for PHP/5.2.17 language. Its 2 nameservers are ns1.hawkhost.com, and ns2.hawkhost.com. Softlayer Technologies Inc (Texas, Dallas) is the location of the LiteSpeed server. PING (208.43.95.66) 56(84) bytes of data.